Rupee Vs Dollar: Rupee opened higher at 71.12 and rose further to quote at 71.11, showing a rise of 35 paise against the dollar. INR Vs USD: Rupee had gained 21 paise to end at 71.46 against the US dollar Tuesday. 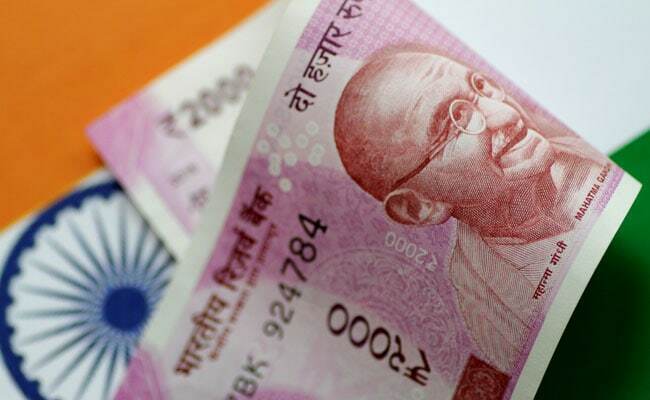 MUMBAI: Rising for the seventh straight day, the rupee strengthened by 35 paise to 71.11 against the US dollar in early trade Thursday on the back of falling crude oil prices. Traders said dollar's weakness against some currencies overseas and increased selling of the greenback by exporters and banks also supported the rupee. They said fresh foreign fund inflows and a steep fall of nearly 7 per cent in global crude prices to one-year low on Tuesday buoyed rupee sentiments. At the interbank forex market, the rupee opened higher at 71.12 and rose further to quote at 71.11, showing a rise of 35 paise over its previous close of 71.46 against the dollar on Tuesday. The rupee had gained 21 paise to end at 71.46 against the US dollar Tuesday. In the last six trading sessions, the domestic unit has gained 143 paise. Forex market remained shut Wednesday on account of Eid-e-Milad. Meanwhile, the benchmark BSE Sensex was up by 82.53 points, or 0.23 per cent, to 35,282.33 in opening trade.